"In the beginner's mind there are many possibilities; in the expert's mind there few." 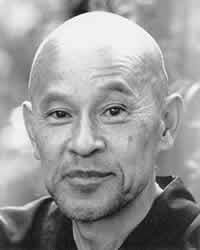 Shunryu Suzuki (above). Shoshin, or Beginner's Mind, is a phrase from Zen Buddhism to describe the state of child-like eagerness, wonderment and playfulness that comes when the mind is not labeling things and events (especially ones we are familiar with) - when we are just experiencing them, as if for the first time. When I read the above quote from Zen Master Shunryu Suzuki, it struck a deep chord within me (much the same as Bruce Lee's 'Accept what is useful; discard what is not useful' quote did in my childhood). Cultivating the shoshin state is very useful for people into expert generalism (and, well, everybody), as it helps maintain humbleness, playfulness and prevents the dreaded statement 'I already know that' from occurring too much (even if you do have knowledge of the specific topic, or have done the physical skill many times. It's the closed attitude that is poisonous to creativity.). Interestingly (for me at least), having been cultivating this attitude for a number of years (and along with Zen and various other practices); I have come to the conclusion that boredom doesn't exist. This would have severely baffled my younger self, as I spent many, many hours of my adolescence sinfully bored and apathetic to just about everything. What I mean by 'doesn't exist' is, boredom is solely self-created and exists within the undisciplined mind alone. I haven't felt bored since about 2007 (when practice commenced). It's well worth investigating. The boredom also has a selfishness element to it, I personally found. 'I' am bored; because I deserve for something more interesting to be happening to me at this given moment (normally with another thought that this fun/fascinating thing should just appear before me, with no work on my part). With practice, just sitting and watching people walk past; clouds go by and wind blowing through trees; stars at night, or even grass grow, can be extremely rich and joyful experiences. With regards to physical training of different types, the beginner's mind is a useful tool for getting past plateaus, and re-discovering the joy that one often has the first few months/years of an activity (when one is often in a state of embodied awareness), that tends to drop away just as you are going to make a breakthrough to a new level of skill and awareness. Moreover, in regards to the great quote mentioned in the Swing post, keeping the beginner's mind helps you play through life! I've been lucky enough to meet people of advanced chronological age who have an inquisitiveness and wonderment that would put most of today's kids to shame. That will be me. And it should be you, too. "Be strong to be useful"
What is this thing called Stretching?